A sing-along version of the 1975 comedy classic will screen for one night only. 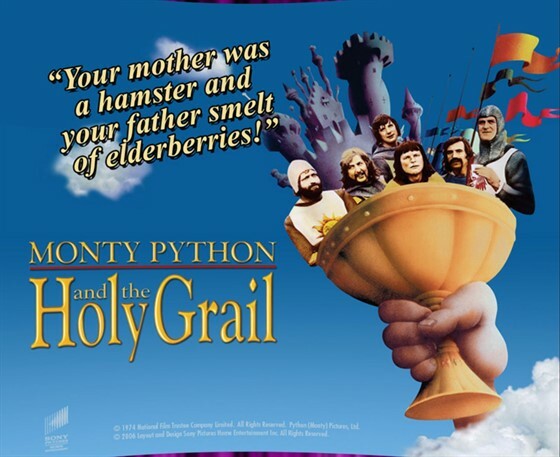 Forty-four years after the Knights of the Round Table revealed a diet consisting mostly of ham and jam and spam (a lot), Monty Python’s famed part-singing, part-dancing, all-silly take on the Arthurian legend returns in a sing-along version . Monty Python and the Holy Grail, which was the highest-grossing British film in U.S. cinemas in 1975 and has gone on to rank at the top end of numerous lists of the best comedies, is back in theaters. Remaining Monty Python members Michael Palin, John Cleese, Eric Idle, Terry Gilliam and Terry Jones recently completed a series of sell-out stage shows in London, said to be their final performances together. Spamalot, Idle's Tony-winning musical adaptation of Monty Python and the Holy Grail, received 14 Tony Award nominations winning three including best musical.